It took a while, but it looks like the leaves are starting to fall! It is one of the most beautiful times of the year, but it never sticks around long enough. The most enjoyable way to preserve its elegance is with crafts, so we put together a list of 5 crafts to do with leaves this week. Just Add Paint How beautiful are these paintings? No one but a mom can tell these are the works of tiny hands! This simple project is from the mind of Meaningful Mama. With a few squirts of paint on a plate, some perfectly shaped leaves and the willing hands of your children, you too can adorn your walls with fall’s finest gifts. 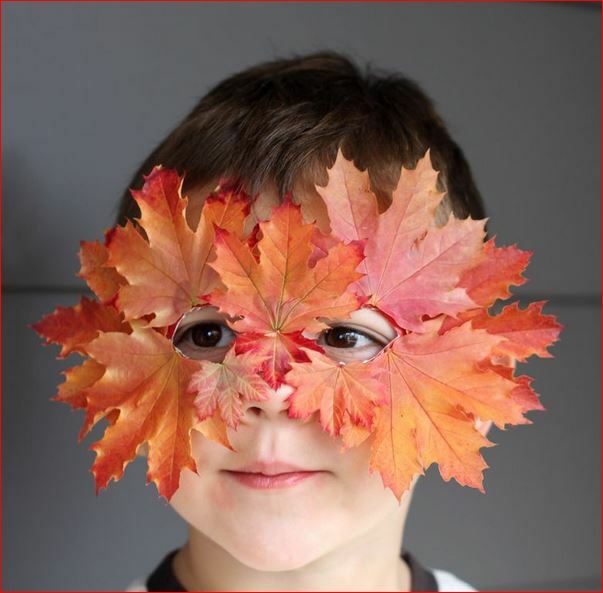 DIY Camouflage If you haven’t come up with the perfect Halloween costume yet, we may have your solution — leaves! There are few masks that are as adorable as this one from Small & Friendly. 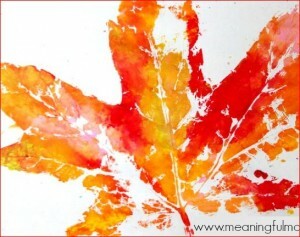 It’s made almost entirely out of fall leaves (and a few craft materials, of course). The only tricky part about putting this together might be trying to arrange your leaves just right, but they’re pretty forgiving, so most anything you glue together will look nice. Perpetual Petals When you find a perfect fall leaf, you want to keep it forever, but they get dry and brittle too quickly to keep for any amount of time… unless you dip them in wax! Patch of Dirt Farm gives us a tutorial on how to protect these leaves a little longer than the season allows for. It’s a pretty easy idea — melt some beeswax, dip them in the wax and let them harden. 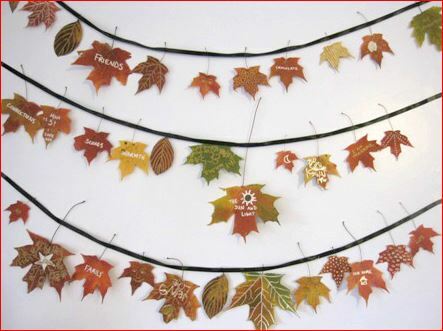 Put them on a wreath, include them in a flower arrangement or do what Patch did and hang them from the ceiling and you can have that fall feeling all year long… or for as long as you want it. 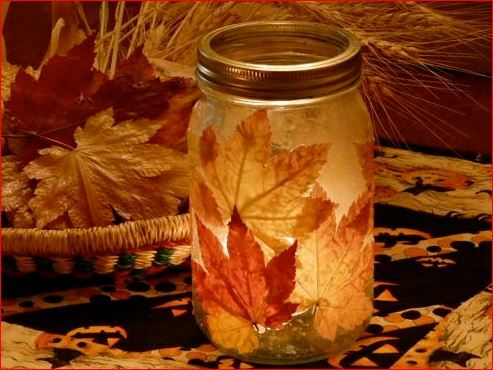 Potted Plants Here’s a super cute idea from Gingerbread and Snowflakes — florid fall multipurpose mason jars. They’re almost too easy to make. Just take your best leaves and paint them on the jar with craft glue. You can use the jars as vases for your Thanksgiving centerpiece, a place to store your fall spices (if you buy in bulk!) or as candle holders. Garland Isn’t Just for Christmas The Artful Parent turned a leaf crafting project into a gratitude project with this darling leaf garland. It’s such an easy and clever idea, you’ll be annoyed with yourself for not thinking it up! She used metallic markers to embellish the leaves and then wrote all the things she and her kids are thankful for this year. Then she hot glued them to ribbon for decor that’s timely all the way through Thanksgiving. 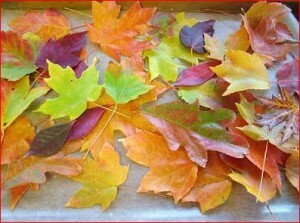 Decorate with leaves while you can! Before you know it, it’s going to be time to put up your Christmas tree and bury your house in tinsel and sparkling lights! 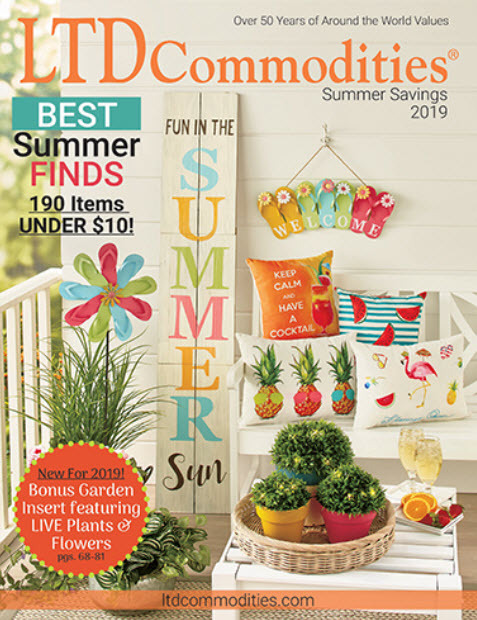 Whatever holiday or season you’re planning for, let LTD Commodities help you make it special. From outdoor holiday decor to gadgets to prep your Thanksgiving dinner, we have it all!